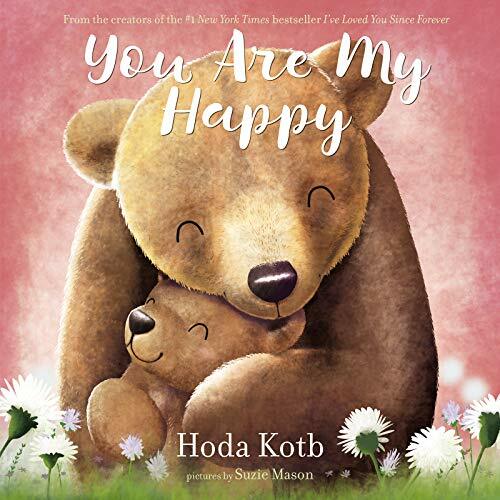 From Hoda Kotb, the Today show co-anchor and the #1 New York Times bestselling author of I’ve Loved You Since Forever, comes a book about gratitude for the things in life—both big and small—that bring us happiness. As mama bear and her cub cuddle together before closing their eyes for a good night’s sleep, they reflect on the everyday wonders of life that make them happy. Inspired by her own nighttime routine with her daughter, Haley Joy, Kotb creates another beautiful treasure for parents and children to enjoy together. With charming and lush illustrations from bestselling artist Suzie Mason, this soothing yet playful lullaby explores the simple joy of taking a moment to be grateful. Perfect for fans of Ainsley Earhardt, Kelly Clarkson, Jamie Lee Curtis, and Jimmy Fallon’s books for children.